The Lanificio Fratelli Piacenza has survived economic crises, wars, occupations and fires, alternating with periods of revival and of rampant optimism, while the family’s solidity, enterprise and courage have always ensured that it plays a leading role. The Piacenza family has shown a consistent, farsighted ability to ride the crest of the wave of its times, occupying the spotlight both industrially and politically, opening a shop in Turin when the French occupation had made the mill lose markets and workers, studying and adopting innovative methods from abroad, being the first in Italy to produce patterned fabrics during the period of the Italian Wars of Independence, discovering and importing a series of noble fibres, gaining the acknowledgement and support of such important politicians as Count Cavour and, above all, creating new markets for their fabrics in France, Belgium, England, Switzerland, the Americas, the Indies and other Asian countries in Felice’s days. Without forgetting finding new stimuli to revive the company after the great depression in the thirties and again after the Second World War. Some members of the family have held important public offices: Giovanni Battista served as President of the Turin Court of Appeal and contributed to drawing up the Civil Code, while Giuseppe Battista was the King’s first civic architect and a member of the Turin Academy. Others have brought innovation to the company, giving it a new lease of life after dark days, always driven by their love of quality and of nature. 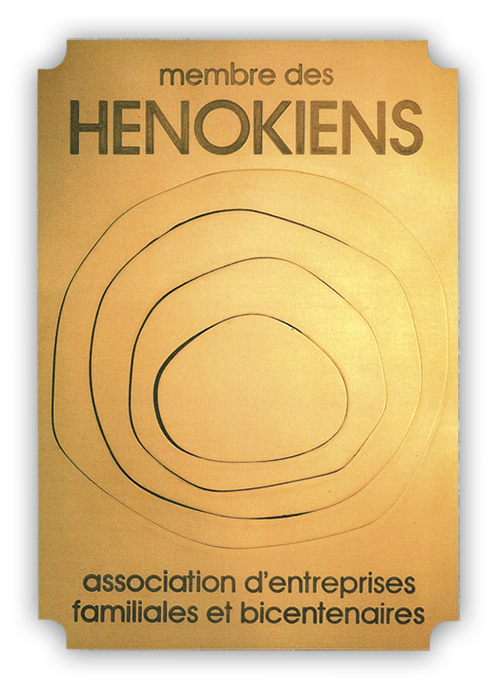 The Lanificio Fratelli Piacenza is a full member of the international hénokiens society, whose members are all family firms with at least two centuries of history to their names. 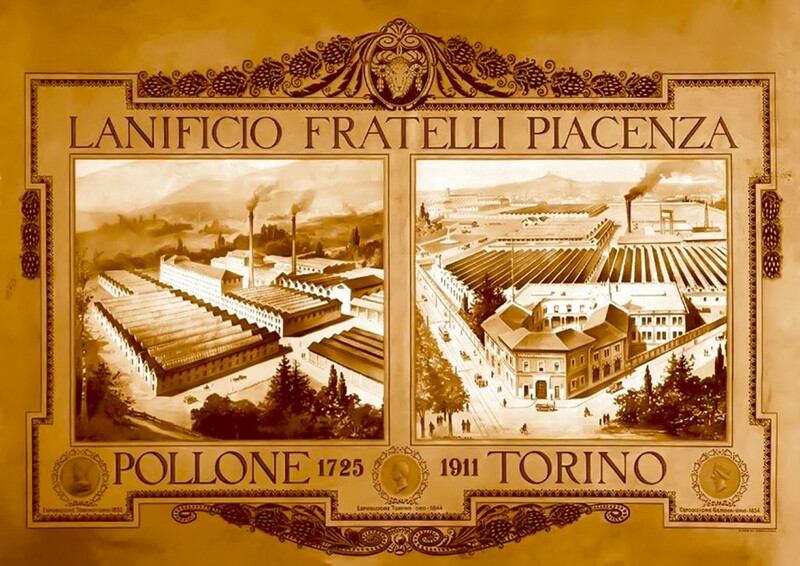 By virtue of their venerable age since the date of their foundation, the Fratelli Piacenza wool mills are part of the international association the Henokiens, whose members are family concerns with at least two centuries of history behind them. The idea of establishing a Piacenza Family Foundation started taking shape in 1982. 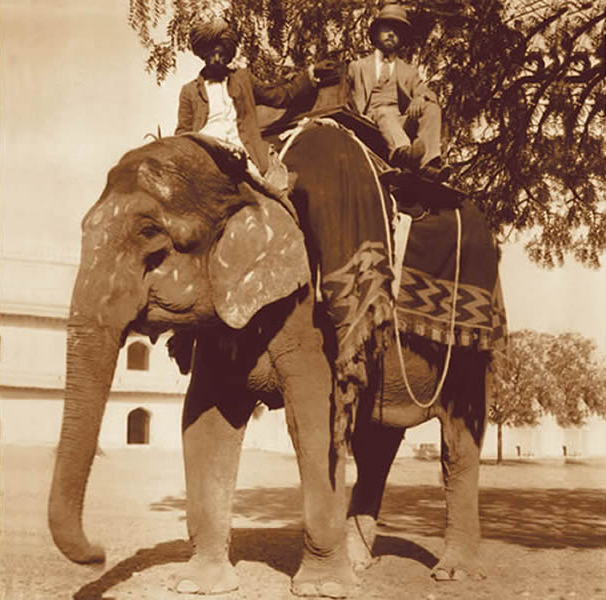 The twin aim was to safeguard the family’s historical and cultural heritage and to favour the entire Valle Elvo community’s conservation of documents and machinery. The Piacenza archives preserve hundreds of deeds, such as the one obtained from the Municipality of Pollone in 1750 for the use in perpetuity of the water in the Oremo torrent, correspondence with customers and suppliers, personal research and administrative documents, but also many photographs and films that have never been published, although a great deal had been lost in a fire in 1812. The Foundation has published a book entitled Una famiglia tra il Risorgimento e l’Europa (A Family from the Risorgimento to Europe), by Andrea Pivotto, takes part in exhibitions and conferences and is a member of the Network of Fabric and Fashion Archives. 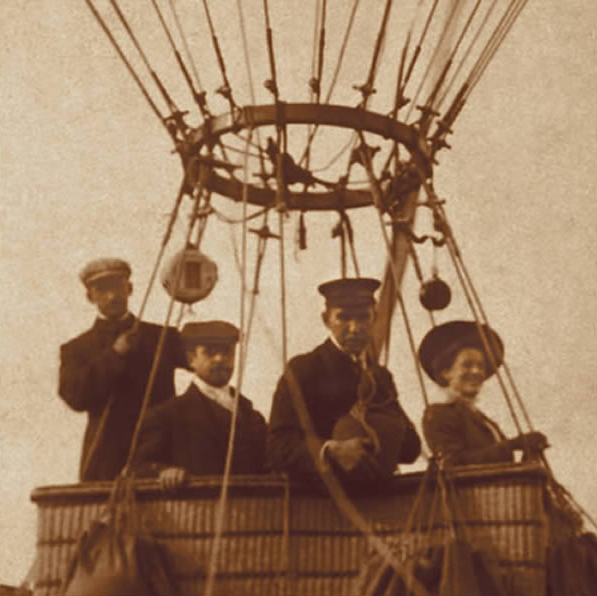 From the late nineteenth century to the middle of the twentieth, travelling was an uncomfortable, slow and dangerous business. 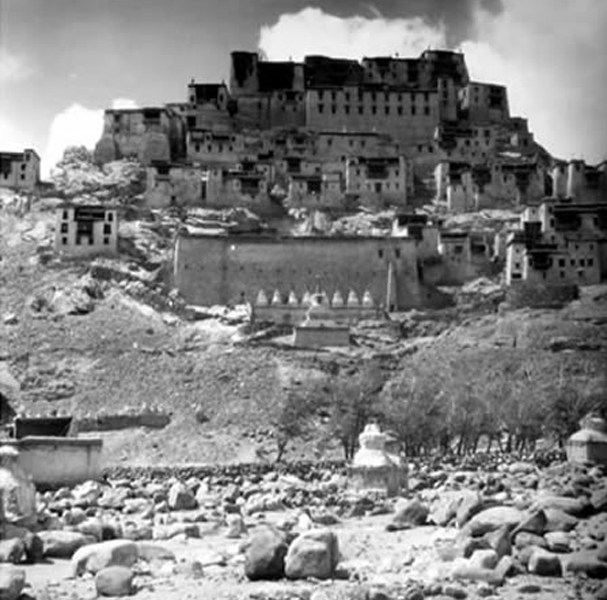 The Earth seemed to be bigger than it is today and only suited to courageous spirits. Anthropological, botanical and scientific discoveries arrived from far-off lands, with images that illustrated aspects of the world that had never been seen before. ankles. He immediately realised that he had found an ally against the cold and looked for its origin. Curiosity and his love for the life of the nomad shepherds and their animals led him to his discovery: the undercoat of the cashmere goat. Years later, he explored the Earth’s lunar landscapes. In the deserts of the Middle East, the Berbers taught him to appreciate the value of camelhair. 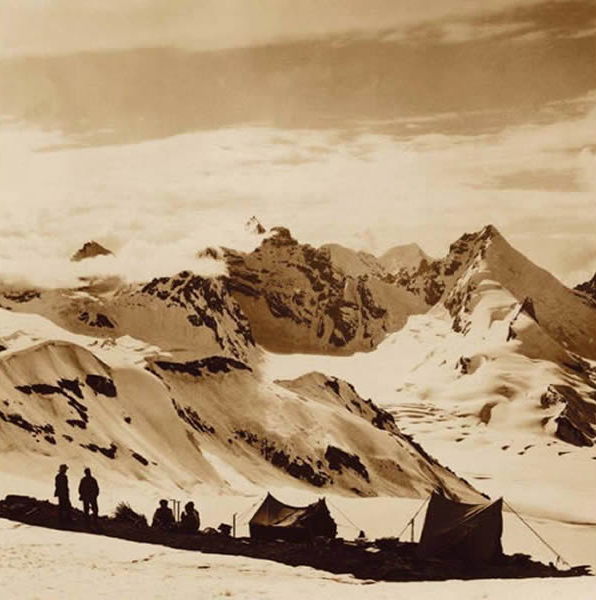 In addition to being an indispensable means of trans- port, the ship of the desert also turned out to be vital for dealing with the desert’s low nocturnal temperatures. Mario discovered the camelhair duvet and the result was a revolution in overcoats. Pietro Francesco (1697-1753) e il figlio Giovanni Francesco (1727-1796) avviano l’attività di una macchina per la follatura di tessuti in lana in regione Paroir a Pollone, quindi la nascita del lanificio, sebbene il censimento sabaudo del 1623 già indicasse due componenti della famiglia Piacenza come commercianti di lana. Pietro Francesco amplia lo stabilimento che nel 1757 dà lavoro a 100 persone. L’apertura di una «casa di vendita» a Torino, nel 1799, permette al lanificio di sopravvivere durante l’occupazione francese quando le maestranze si riducono a 37. Nel 1814 la ditta assume il nome Lanificio Fratelli Piacenza. Carlo Antonio (1779-1842) inizia ad acquistare le materie prime nei principali mercati europei e i tessuti si vendono in 42 piazze. Carlo Antonio e successivamente Giovanni (1811-1883) introducono i primi telai meccanici mule-jenny e jacquard scoperti in Inghilterra. Nel 1839 Giovanni avvia, per primo in Italia, la produzione di tessuti in fantasia a righe e a quadretti studiati a Parigi. Il loro successo, un anno dopo, porta a costruire un nuovo stabilimento dove accentrare tutte le fasi produttive e in 10 anni il numero degli operai balza a 350. La dimensione artigianale lascia il posto a quella industriale. Grazie a una rete di agenti di commercio le piazze di vendita sfiorano il centinaio e giungono fino al centro Italia di pari passo con l’allargamento dei confini del Regno di Sardegna. Medaglia d’argento per la Piacenza all’Esposizione di Torino (1844) e a Genova (1846); nel 1854 i tessuti fantasia valgono la medaglia d’oro a Torino. Al Parlamento Subalpino Giovanni viene definito da Cavour un imprenditore illuminato perché a favore del libero scambio e nel 1856 entra nella società per la costruzione della linea ferroviaria Biella-Santhià. Felice (1843-1938) dal 1868 migliora l’organizzazione dei reparti e della produzione, dopo gli studi al centro industriale di Verviers (Belgio). Fonda la Lega Industriale Biellese e ne è il primo presidente (1901), viene nominato Cavaliere del Lavoro e Commendatore della Corona. Nel 1911 apre uno stabilimento a Torino e il Lanificio Scuola Felice Piacenza a Biella. Con Enzo si aprono gli orizzonti delle passerelle dell’alta moda e dei grandi atelier di Londra, Parigi e New York. Tra il 1950 e il 1960 nasce la ditta Paroir per la vendita al dettaglio dei tessuti e, nel decennio successivo, Riccardo e Giovanni (figli di Enzo) avviano la confezione dei capi creando la I.M.D. Nel 1970 si apre lo stabilimento attuale e dagli Anni 80 si esportano tessuti in tutto il mondo. Nasce la linea di capi di abbigliamento in puro cashmere di altissima qualità. Si chiama: Piacenza Cashmere e si assicura fin da subito un posto importante tra le collezioni del lusso. ￼Today the firm is in the capable hands of Carlo, CEO and a member of the Piacenza family’s thirteenth generation. Since 4 July 2016, he has been the new President-designate of the Biella Industrialists’ Union, a position once held by Giovanni and by Felice, its founder. The fourteenth generation already joined the firm some time ago and assists him at the wheel on various fronts. 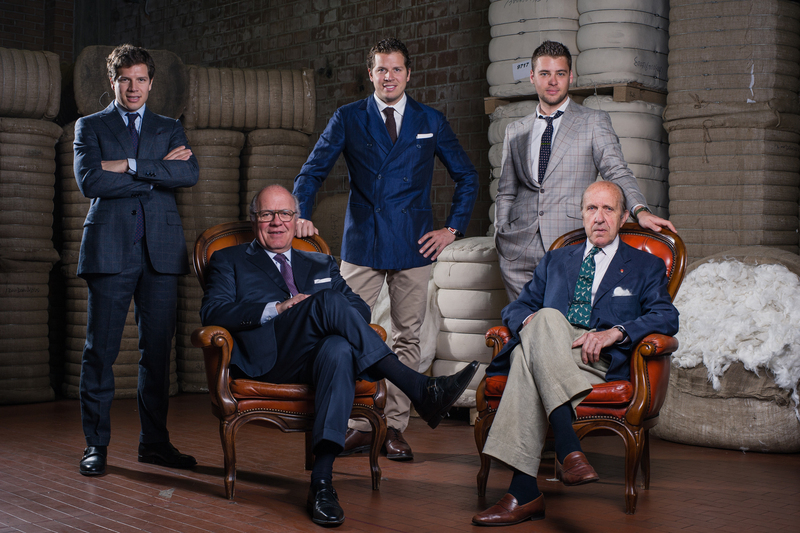 The wool mills’ management is entrusted to Ettore, who deals with sourcing raw materials and the production phase, while his brother Vasiliy holds the office of brand manager. Following his time in the family firm, Guido has dedicated his entire life to safeguarding the “Felice Piacenza” Burcina Park Special Natural Reserve. His son Felice works in the firm’s design team.